I was lucky enough to enjoy a rare day of sunshine on a recent visit to one of my favourite magical places, the South Downs. 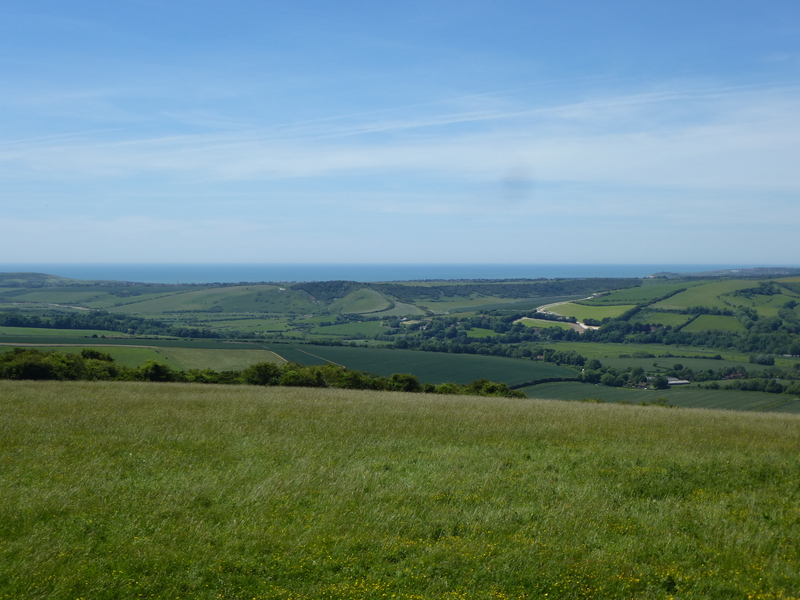 A long range of hills which run along the foot of England, the South Downs offer some beautiful stretches of unspoilt countryside, as well as some incredible views across the rolling plains to the north and the sea to the south. I began my walk in the pretty village of Alfriston, which is filled with charming thatched cottages and old timbered houses. 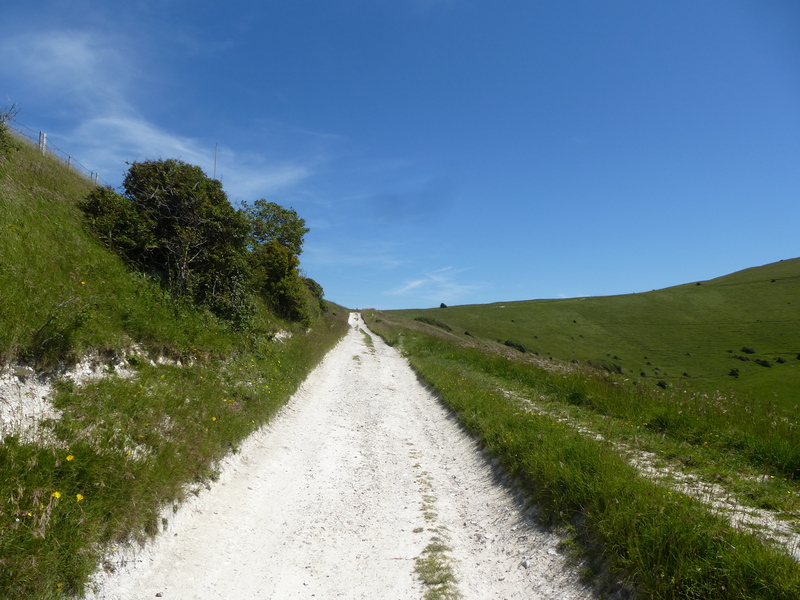 The chalky path was shady and tree-lined to start with, but soon emerged onto open hillside. The sun was hot, and skylarks chirped and twittered above me in the clear blue sky. As I climbed the steep path, I caught sight of the mysterious Longman of Wilmington, a huge chalk figure cut into the hillside. Once thought to be prehistoric, this carving is now dated to more recent times, and was probably created in the 16th or 17th centuries. 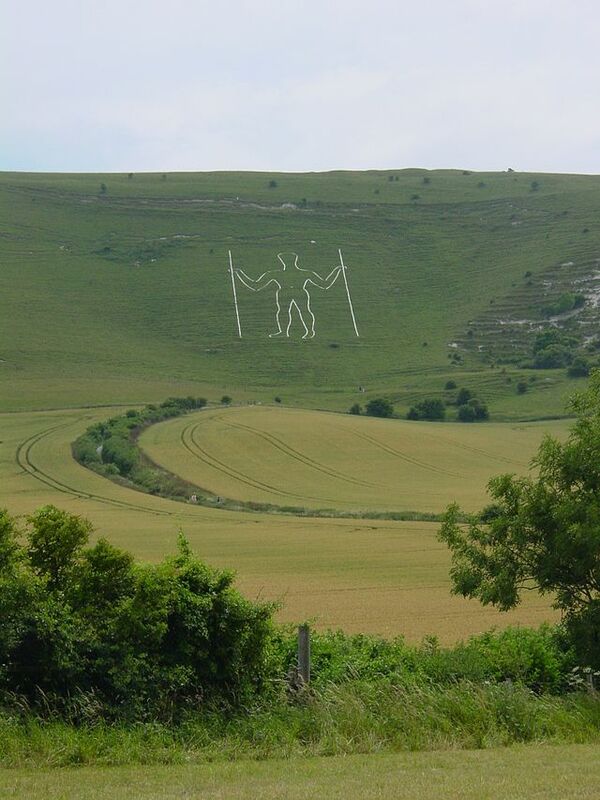 The Longman, also known as the Wilmington Giant, carries two staves, and although there are various theories about who or what he represents, the truth behind his creation will probably never be known. Today, pagan ceremonies are conducted next to him on important days of the year, and morris men celebrate the dawn of every May Day by dancing at his feet. 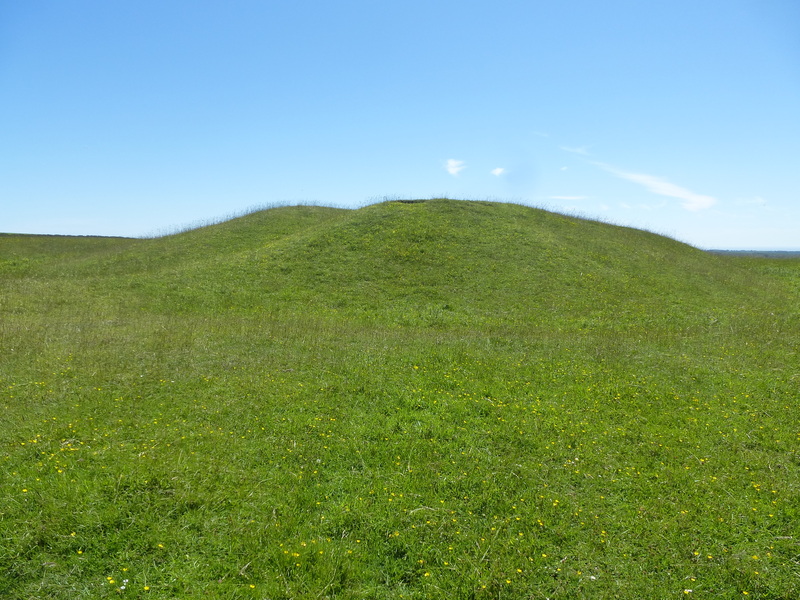 I finally made it to the top of Windover Hill, and found there, just above the Longman, a large ancient tumulus, known as Windover-Wilmington Barrow. This ancient burial mound is surrounded by a ditch, and is of the type known called a ‘bowl’ barrow. The views from here are incredible, with historic Wilmington Priory not far below, the soft ridge of the Downs stretching into the distance and green fields as far as the eye can see. The top of this ridge is dotted with burial sites and prehistoric remains, suggesting that our ancestors thought of it as somewhere special, magical even. Standing there, with the lark song cutting through the warm summer breeze and the world spread out at my feet, I could definitely see why.